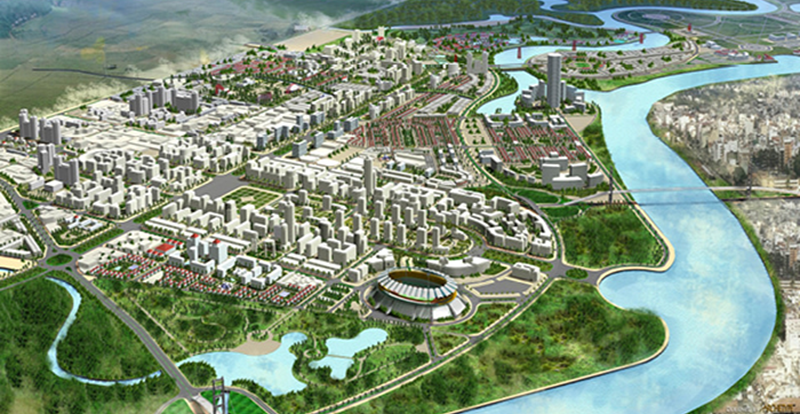 Yen Binh urban, industrial, agricultural and services complexes project (called Yen Binh Complex) is invested by Yen Binh Investment and Development Corporation (Yen Binh Company) and also provided to plan on an area of over 8,000 ha under two districts which are Phu Binh and Pho Yen (Investment License no 17221000088). This location is the center of the 5 major cities including Hanoi, Thai Nguyen, Bac Ninh, Bac Giang and Vinh Yen within a radius of 30km. 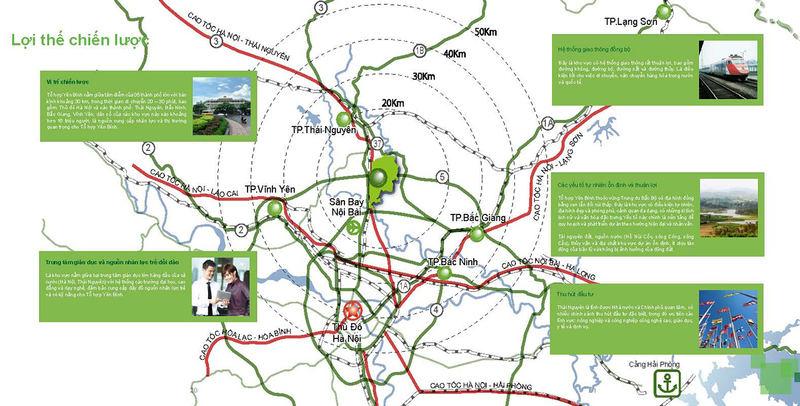 Thus, Yen Binh complex has great advantages in mobilizing resources and connections to urban , major markets in the region by land, air, rail and waterways transport. 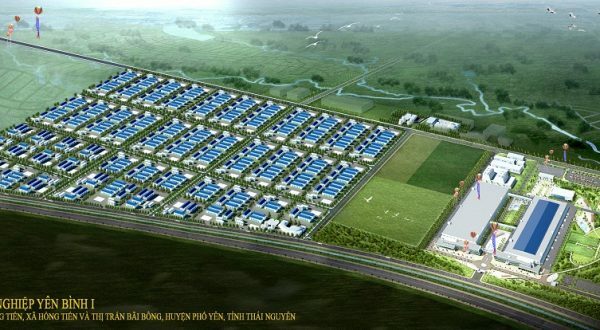 Yen Binh Industrial Park Project: 7 billion USD. 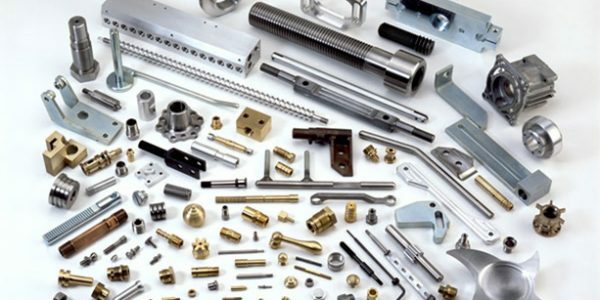 Yen Binh Industrial Service Urban Area: 70 million USD. 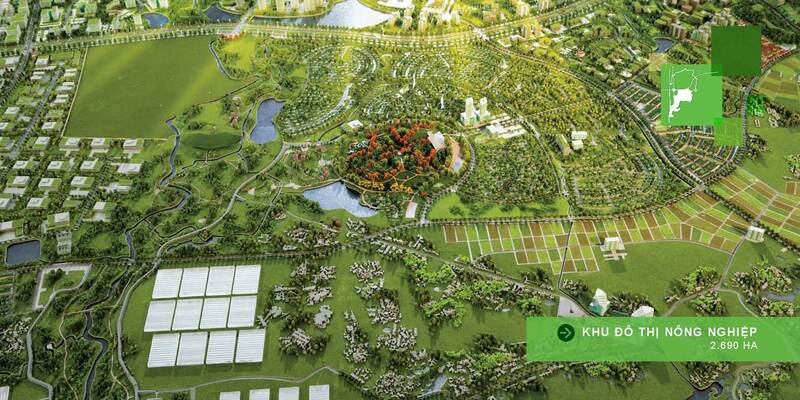 Yen Binh 36-hole Golf course: 50 million USD. 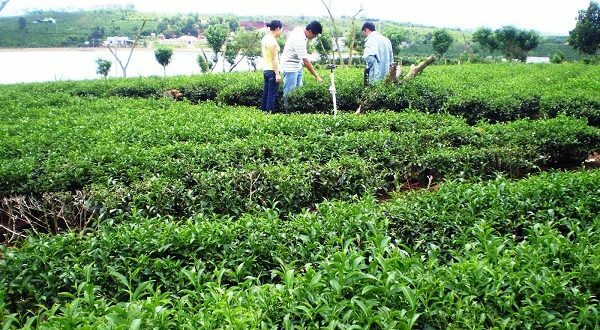 Hi-tech tea farming and processing project: 535 billion vnd. 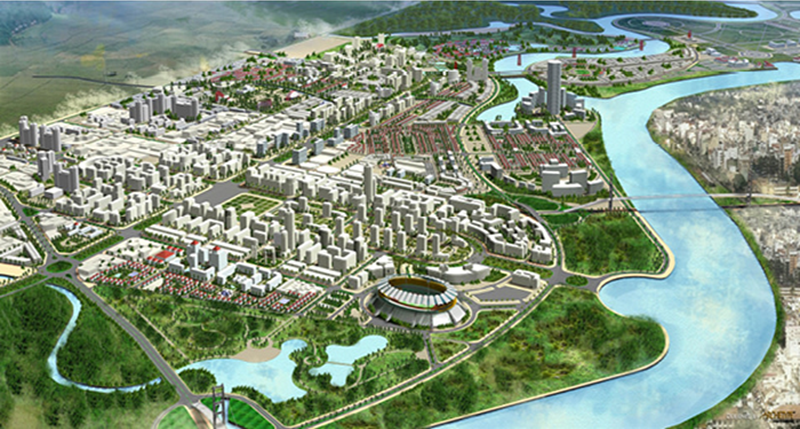 Yen Binh complex area (8.009ha) has been planned as a smart community, within which 3.500ha is intended for major projects being developed by the world’s leading urban planning consultants such as AECOM (USA) 1/5000 plan, Nikken Sekkei (Japanese) 1/2000 plan and Gansam (Korean) 1/500 plan. Starting with Samsung as a leading company, rear supporting projects, including University, various logistics facilities, cultural facilities and sports facilities are established in Yen Binh Smart Community and are optimized for IT industry. 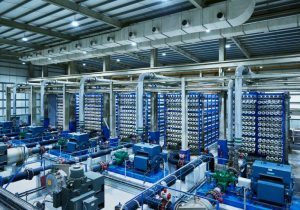 Samsung Group has leased over 200 ha and expanding over 100 ha at Yen Binh Industrial Zone to develop Samsung High Tech Complex with the registered capital up to 2015 of USD 6.4 billion. The first phase of the Project is expected to attract about 100,000 labors up to the end of 2015. 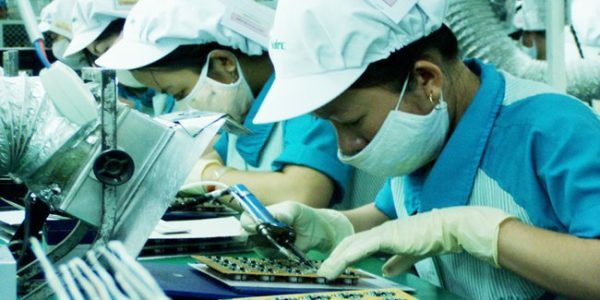 Samsung Electronics, a leader in the IT industry, will be a promoter for the Yen Binh Smart Community, making it a front-runner in the industry, developing better products together. Yen Binh also positively reflected in the master plan, including plans for apartments for workers (Housing For worker) who work in this place. Planned with smart, modern and synchronous infrastructure systems where information technology, communications and automation are the driving forces. 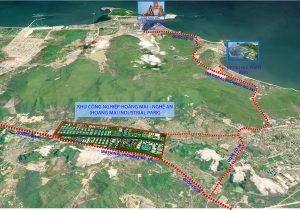 Yen Binh Industrial Service Urban Area is located near Yen Binh Industrial Zone with the area of 260ha to meet the demand for accommodations for experts and employees working at Yen Binh Smart Community. 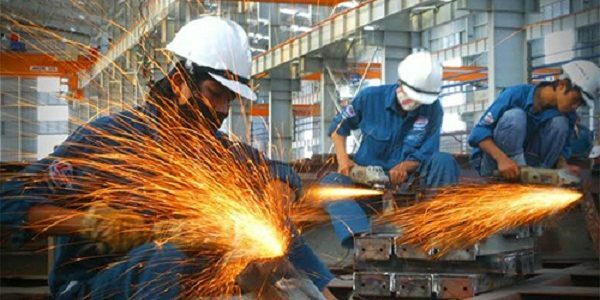 It is expected that Yen Binh Industrial Service Urban Area will be the place for 30,000 experts and labors. Besides the construction of this zone, Yen Binh has already planned 2 more residential zones with the scale of 30,000 people for each zone in order to respond to the development of Yen Binh Complex. 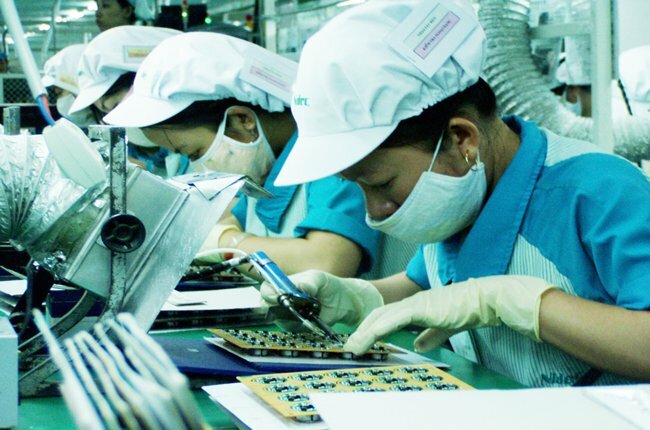 Yen Binh Housing for worker zone is located near Samsung industrial factory in the area of 15 ha to meet the demand for accommodations for employees working in Yen Binh Industrial zone. The first phase(992 units for 3,472 people) has started In June 2015. Yen Binh Agro-Park is the area for research, application, training, production, processing, technological transfer and international trading for agriculture. 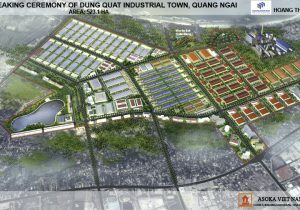 Input materials for Yen Binh Agro-Park are supplied from large-scale agricultural production zone in Thai Nguyen and neighbouring provinces. Create stable jobs and improve living standard for a large number of rural workers. Deliver positive impacts on the economy, society and environment. 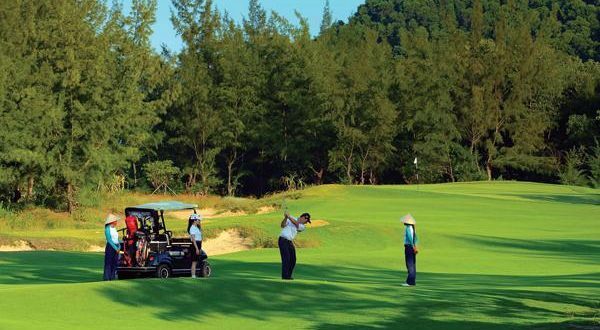 Yen Binh Golf Course Is Developed in The Area Of 180ha With 36 Holes Which Is Divided Into 2 Courses Including. 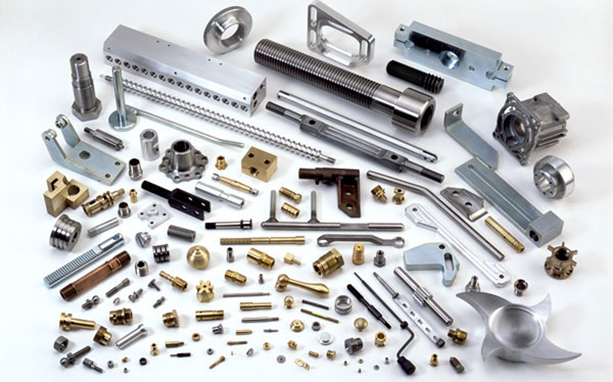 Being Planed With The Typical Features Of Some Regions In the World such as Asia, Europe, America. To Form A Resort With Ideal And Sustainable Environment, Yen Binh Resort Will Meet The Demand Of Domestic People And Foreigners Working And Living In Vietnam. 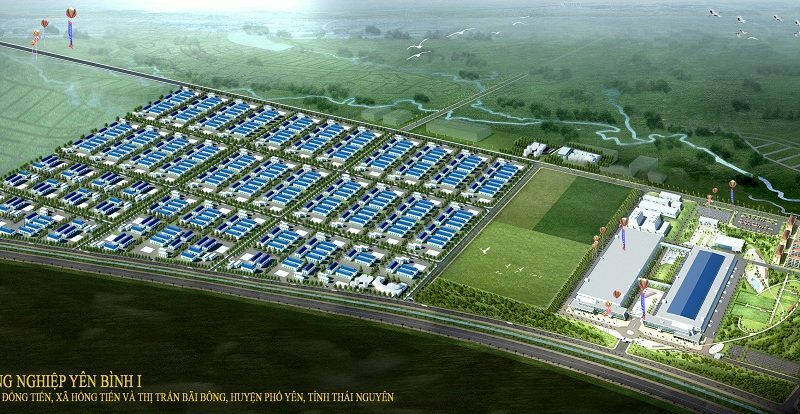 Yen Binh Logistics is developed in the area of 63 ha including warehouses, car park and office. This is the place for processing and trading products of tea. Thai Nguyen Is Known As A Place With The Advantage Of Having Many Natural Landscapes And Scenic Beauty Spots, Historical Monuments Like The Viet Bac Safety Zone. Therefore, Many Ethnic Groups In Thai Nguyen Still Preserve Their Special Cultural Characteristics. 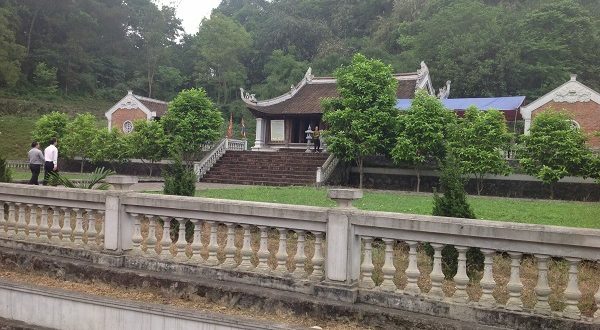 Along With the above, besides developing the economy, Yen Binh Investment and Development Corporation has Cooperated With Provincial And Local Government In The Contribution to The Constructions Of national Religious Culture And Historical Buildings. People always remeber Of Their Identity, History And Traditional Culture, And Remember The Life Of The Previous Generation And the Conservation Zone Management Master Plan Will be Established In Order To Preserve Them Separately. Located at a national preservation area for natural ecology, Nui Coc lake, Tea resort would bring people as close to nature as it gets, while still providing experiences of the local’s key product, the tea. Different programs have been planned to create comfort through diversity such as canoe tour, botanical garden, lake museum, spa, tea house, theme park, water music, etc …, which are guaranteed the quality of a first-grade resort. The project zone has a stable climate, geologic, hydrologic conditions along with the beautiful landscape. warm atmosphere, rarely affected by flooding and non-affected by the earthquake. 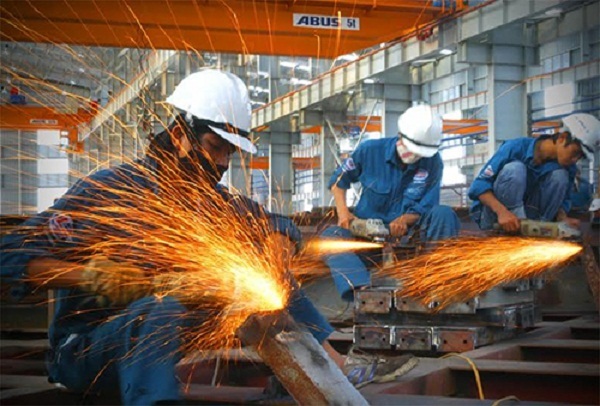 (Hanoi And Thai Nguyen) Which Supply A Source Of Skillful Labors. While only about 20km from Noi Bai airport, the site’s still providing various means of transportation such as the lifeline highway road no.5, Da Phu river port on Yen Binh river, or using the traditional means by taking the railway which is connected to site at pho yen railway station. 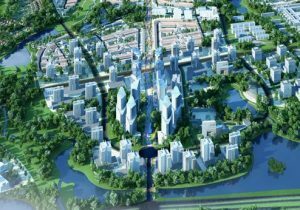 Enterprises Investing In Yen Binh Smart Community are Given The Highest Investment Incentives By The Government And Thai Nguyen Province And Favorable Conditions For The Fastest Implementation Of Administrative Procedures. Power Supply To Yen Binh Complex From 2 High-voltage Lines Of 500 Kv And 1 High-voltage Line Of 220 Kv. 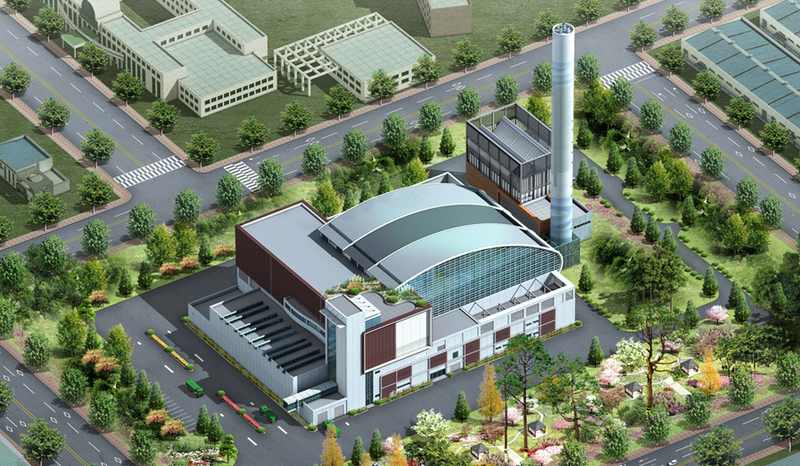 EVN Has Planned Two 220KV And Eight 110KV Power Stations To Serve Yen Binh Smart Community. 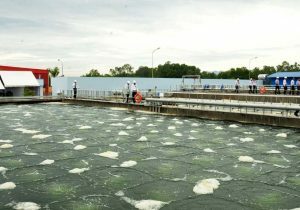 Yen Binh Water Plant with the capacity of 300,000m3/day-night supplies clean water to Yen Binh Smart Community. Nui Phao Mine Is Located Only 35km Away From Yen Binh, It Will Be Able To Provide For The Yen Binh. Smart Community Minerals Like Tungsten, Fluorspar. Bismuth, Copper And Gold, the Necessary things In The High Tech Industry For Creating Computer Memory Modules, Camera Lenses, Computer Screens, Lasers Etc. Samsung Electronics, A Leader In The IT Industry, Will Be A Promoter For The Yen Binh Smart Community, Making It A Front Runner In The Industry, Together Developing Better Products.